Precise Construction Ltd have the experience and the workforce to create home extensions to order. We also provide a full range of supporting building and refurbishment services. Our design team sits down with clients from Dorking, Reigate and the wider Surrey and South East areas to gauge how they see the additional space inside their homes. We work closely with clients to help them achieve new room space within the grounds of their Dorking or Reigate homes. Whether you are looking to create small, single-storey home extensions or wish to undergo a full renovation, our Dorking-based builders and groundwork contractors are on hand to help transform your property. We find that many customers choose home extensions to save themselves the upheaval of moving house. Compared to the price of a move and the associated legal costs, home extensions can save money and add market value to your existing property. 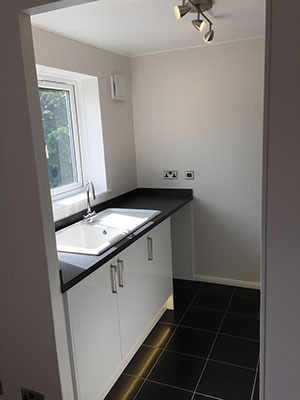 Our refurbishment and remodelling services can be used to create a new, bigger kitchen, an extra room that can be turned into an office or an additional bedroom. 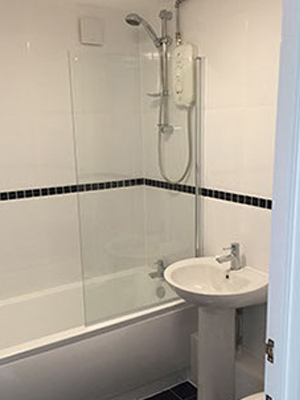 Maybe a brand new bathroom or wet room will help in modernising your home? From off-the-shelf fixtures and fittings to fully bespoke installations, our builders make dream home aspirations a reality. Loft conversions are another way of enhancing space for our Dorking, Reigate and Surrey clients. This is a cost-effective way of providing a home with the extra space needed for growing families. Our builders have many ideas and solutions on how to optimise space through the use of home extensions, conversions and refurbishment work. We can take care of planning permission by liaising with the local authorities for Dorking, Reigate or the area that you live in. While an application is ongoing, we will be keep you informed of progress every step of the way. Our refurbishments can transform any home. We will update your living space by ripping out old kitchens, bathrooms and flooring before bringing everything up-to-date with stunning design and building work. Our builders and refurbishment specialists deliver striking properties but can also help in reviving outdoor space as well. If your budget permits, why not consider refurbishing your patio or driveway? Our groundwork contractors have a design-and-build mantra they work to that turns any Dorking or Reigate garden into a stunning visual landscape. At Precise Construction Ltd, we have the builders and groundwork contractors to cover all hard landscaping requirements for the domestic and commercial sectors. We cover all of Surrey as well as the surrounding Southern Home Counties. Call us today and we will provide you with a free, no-obligation quotation on any our services.